Veteran Democratic political strategist Donna Brazile is a Fellow at the Harvard Kennedy School Shorenstein Center on Media, Politics, and Public Policy. She is the former interim Chair of the Democratic National Committee (DNC), an adjunct professor at Georgetown University, and the author of the upcoming book Hacks: The Inside Story of the Break-ins and Breakdowns That Put Donald Trump in the White House. She is a former syndicated newspaper and magazine columnist, and the former Vice-Chair for civic engagement and voter participation at the DNC as well as the former Chair of the DNC’s Voting Rights Institute. Brazile is the founder and managing director of Brazile and Associates, LLC, a consulting, grassroots advocacy and training firm based in Washington, D.C. She was a fellow at Harvard’s Institute of Politics in 2001 and has lectured at more than 200 colleges and universities in the United States and abroad. While at the Shorenstein Center, Brazile will conduct research and write about understanding American democracy after the cyber-attack on the 2016 election. In her presentations, she addresses our current political environment, hot-topic legislation, campaigns, and voting. 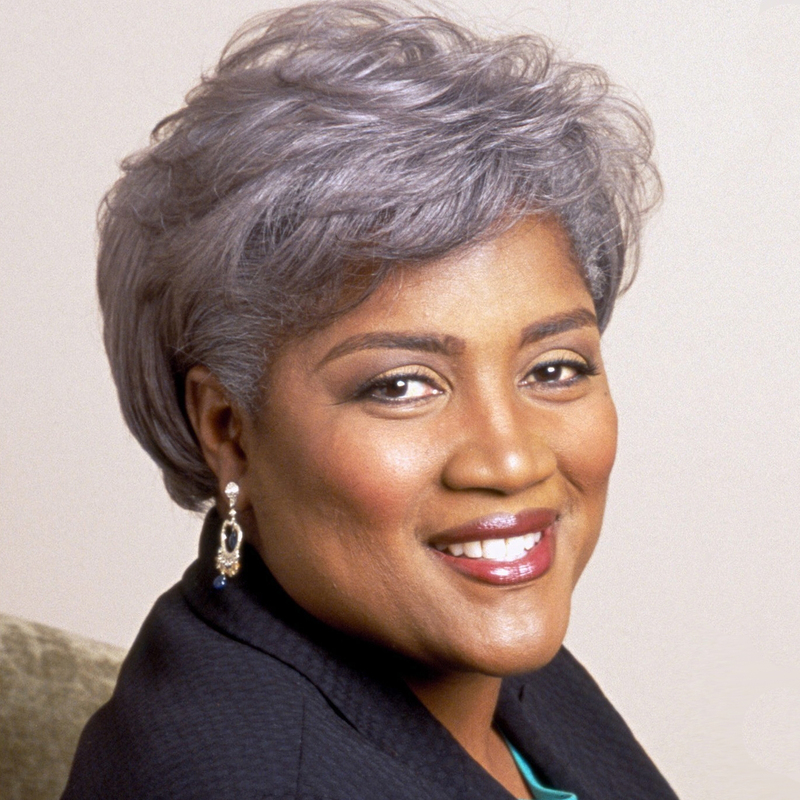 Brazile was named to O magazine’s first-ever list of 20 “remarkable visionaries.” Washingtonian magazine named her among its “100 Most Powerful Women,” while Essence magazine listed her as one of the “Top 50 Women in America.” The author of the best-selling memoir Cooking with Grease: Stirring the Pots in American Politics, she is also an on-air contributor to ABC, regularly appearing on This Week. She contributed to Essence magazine’s 2016 presidential coverage and to O, The Oprah magazine. Brazile has made three cameo appearances on CBS’s The Good Wife, appeared twice on Netflix’s House of Cards and, most recently, on BET’s Being Mary Jane. She received the Congressional Black Caucus Foundation’s highest award for political achievement and, in 2017, was a recipient of Harvard University’s prestigious W. E. B. Du Bois Medal—the university’s highest honor in the field of African and African American Studies. Brazile began her political career at the age of nine when she worked to elect a City Council candidate who had promised to build a playground in her neighborhood. The candidate won, the swing sets was installed, and a lifelong passion for politics was ignited. Four decades and innumerable state and local campaigns later, Brazile has worked on every presidential campaign from 1976 through 2000, when she served as campaign manager for former Vice President Al Gore, becoming the first African-American woman to manage a presidential campaign. She is currently on the board of the J. William Fulbright Foreign Scholarship Board, the National Democratic Institute, the National Institute for Civil Discourse, Joint Center for Political and Economic Studies, the BlackAmericaWeb.com Relief Fund, Inc. She also serves as co-chair for Democrats for Public Education. A native of New Orleans, Brazile was appointed by former Governor Kathleen Blanco to serve on the Louisiana Recovery Board to work for the rebuilding of the state and to advocate for the Gulf recovery on the national stage. Brazile was recently appointed by New Orleans Mayor Mitch Landrieu to serve on the Tricenntinal Commission. Aside from working for the full recovery of her native New Orleans, Brazile’s passion is encouraging young people to vote, working within the political system in order to strengthen it, and running for public office. She is the proud recipient of honorary doctorate degrees from Louisiana State University, North Carolina A&T State University, Grambling State University, Morehouse School of Medicine, Northeastern Illinois University, Thomas Jefferson University, and Xavier University of Louisiana.